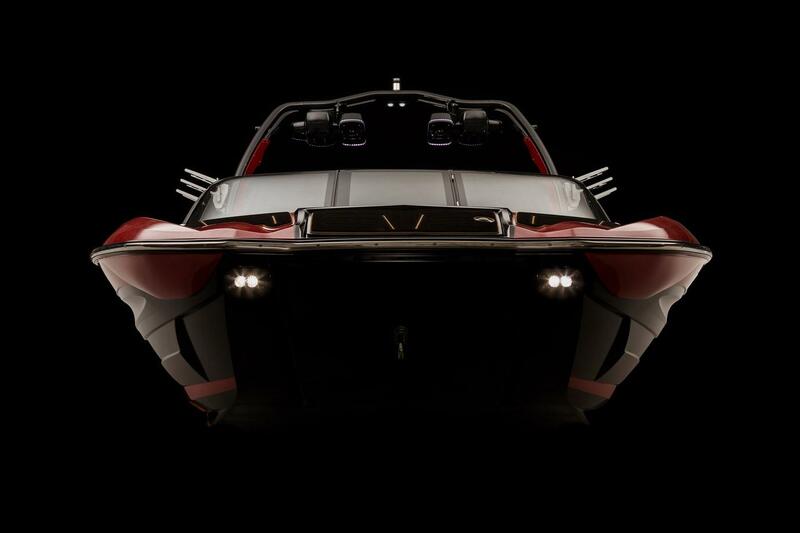 2019 CENTURION Fi23'S ARRIVING SOON! IN PRODUCTION NOW!!!!!!!!!!! Every good story has a backstory. 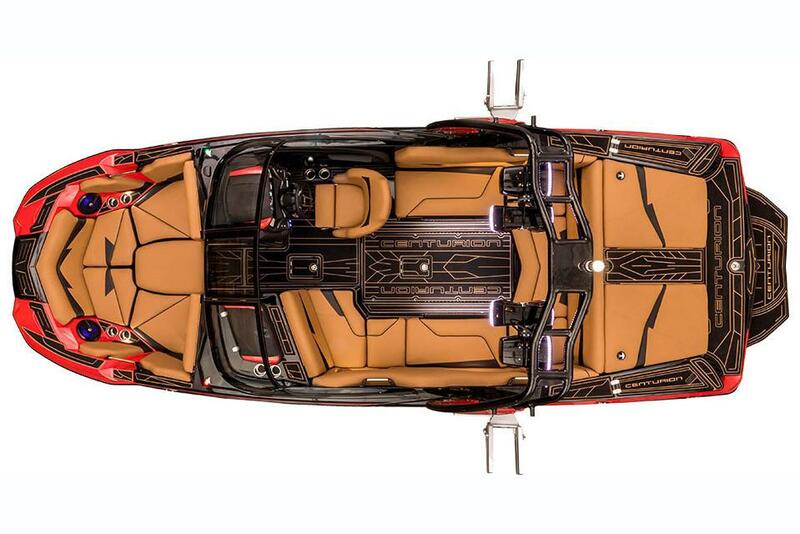 Centurion has just revealed the backstory you need to know if you are ready to get into premium boating. It’s called the Fi23 and it comes with Centurion-quality wakes, waves, ride and more – at a premium-entry level price. With its aggressive lines, extra wide bow and taper towards transom, the Fi23 makes a distinctive impression even from the dock. On the water, it’s the kind of ride that will ruin your tolerance for lesser boats. Once you step up, it’s hard to go back. The Opti-V modified deep-v hull design will change your view of the world. 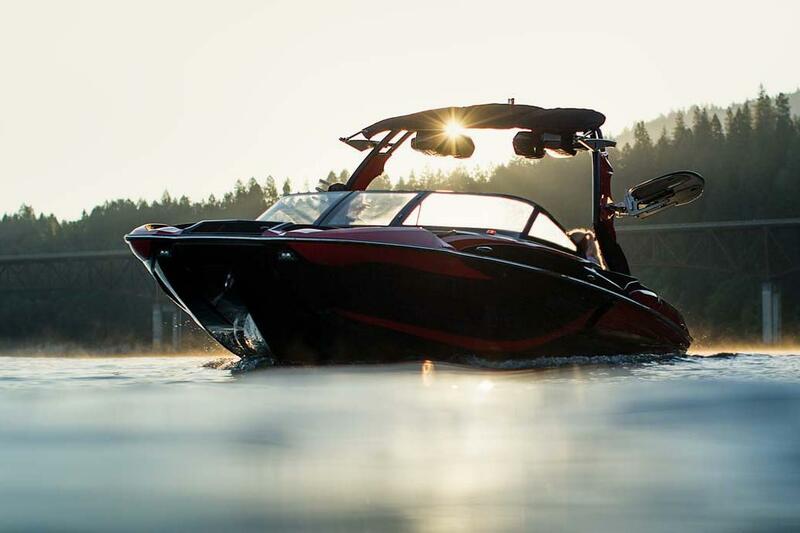 Mixing the maximum surf wave displacement and ride quality advantages of a deep-v with balance for a symmetrical wakeboard wake, you will discover the convenience of perfection behind this boat. 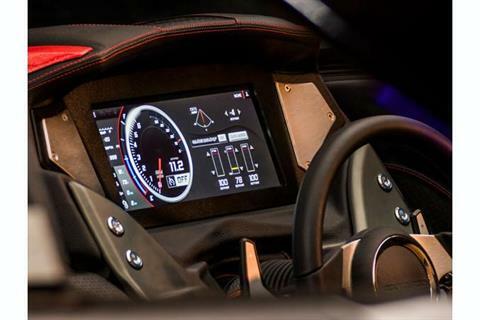 Its superior handling and fuel economy tell a story of thoughtful design and customer-centric thinking. The Split HD Touch Vision dash enables you to control as much as 4,850 pounds of ballast, along with the two-second transfer of QuickSurf Pro and fast, flat take-offs of QuickLaunch. With available RAMFILL, the Fi23 can fill in as little as 45-seconds to create pro-level waves and wakes. 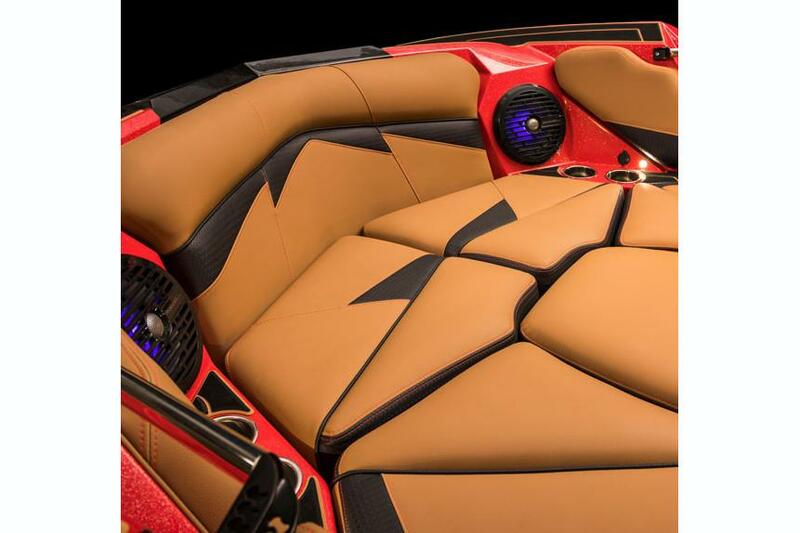 Because Centurion designed the Fi23 to offer an entry-premium price boat, some of the technology and luxuries that reside in the “World’s Best” Ri Series have been taken out of the Fi or made optional. These changes can’t suppress the luxurious interior and exuberant ride you will experience, however. 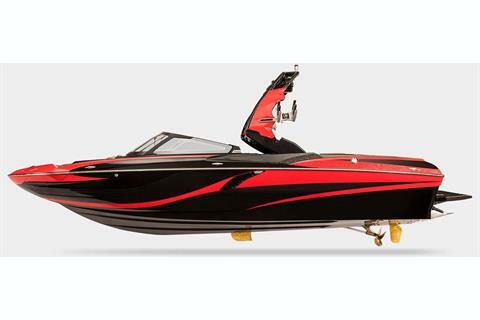 Visit your local Centurion Boats Dealer to find out if this sleek, wide bow surf and wake boat is the Centurion for you.